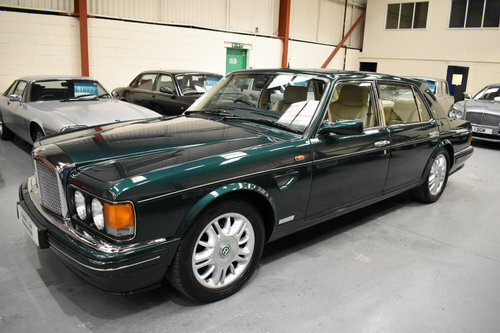 A stunning vehicle in outstanding order throughout offered for sale on behalf of a most meticulous collector. 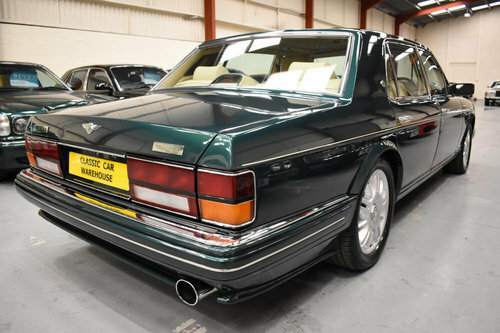 The best we have seen and very likely the best Brooklands R available. The car has covered 40,000 miles with a good service record detailing vast expenditure, the car has wanted for nothing and performs faultlessly. 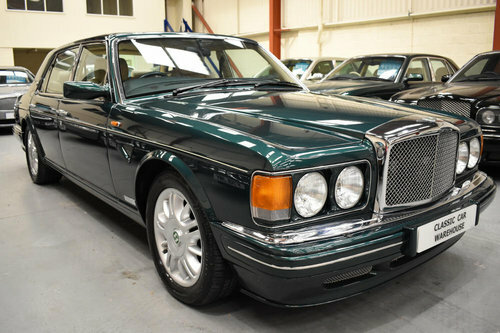 In British racing green with parchment hide complimented by dark veneers, the rear compartment furnished with footstools and vanity mirrors, the vehicle is unblemished throughout and has been maintained with no regard to expense. 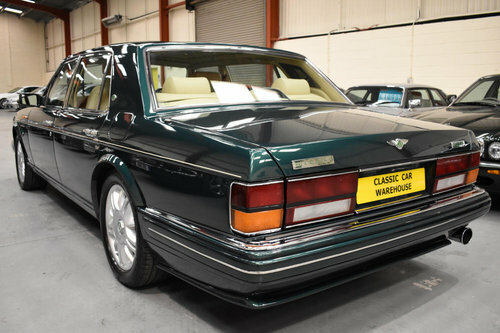 Specification of the period to include split level climate control air conditioning, electric seats, two stage heated seats, cruise control, original Alpine stereo with CD changer, remote central locking, alarm, immobiliser, electric windows front and rear, electric mirrors, heated mirrors, headlamp washers, rev counter, driver and passenger air bags, 18 inch alloy wheels with matching Pirelli tyres all round. Supplied with original keys, original book pack containing owners manuals, stamped service book etc. The car will be supplied with a new MOT with no advisory notices. All our cars are hand picked, low mileage, low ownership examples with full service history. We only buy the best. Part exchange considered. Nationwide delivery available. Deposits accepted over the telephone. 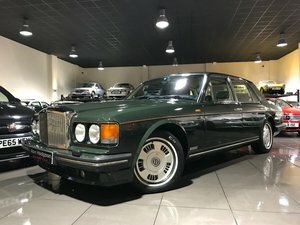 We are a family business established over 30 years, Rolls Royce and Bentley specialists. 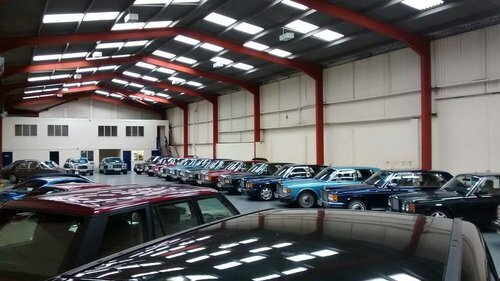 Up to 50 cars stocked, all indoors, viewing by appointment. N.B. All our vehicles are stored indoors in a secure facility and it is not possible to view our cars when we are not there. We travel extensively sourcing and collecting cars so all viewings must therefore be arranged by appointment, thank you.